I had the opportunity to taste a few unique teas from Nepali Tea Traders at the World Tea Expo this past June. The green pearls of Agni were quite memorable, and unlike anything I'd tasted before. I had a nice chat with the founder Maggie, and she generously sent a few samples shortly upon returning from the Expo. 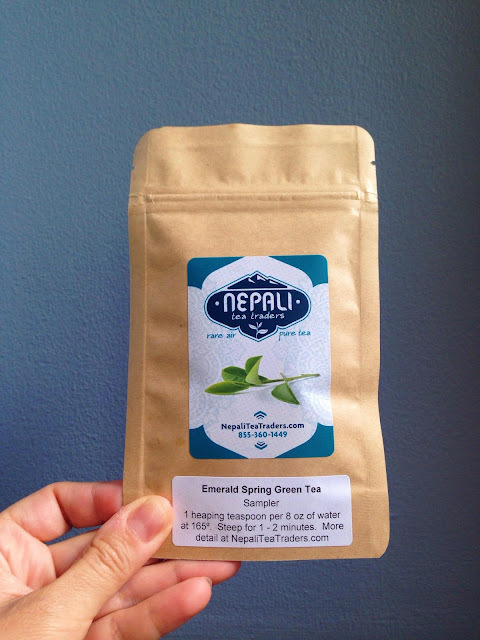 The company works with tea farmers in Nepal to improve the economic situation for the farmers and their families. As much as I wanted to just drink more of the green pearls, I decided to sample a different tea first. The day was bright and sunny with a gentle breeze stirring through the leaves so I decided on the Emerald Spring green tea. It felt like the right thing to try on such a vivid day. After hand-plucking, the leaves are quickly de-enzymed and conditioned. The result is a cup with a lovely green liquor and aroma of wildflowers. 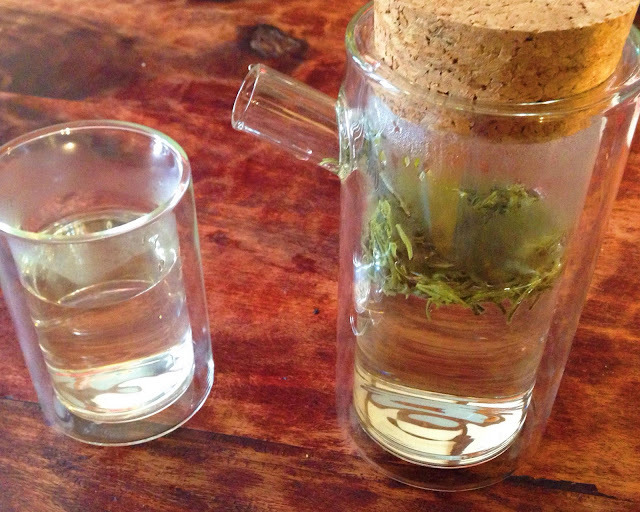 The tea is sweet and vegetal, reflecting all the freshness and beauty of spring in Nepal. When I opened the package I noticed a familiar aroma. I stuck my nose right in and inhaled deeply. It smelled like something I knew, but I couldn’t figure out exactly what it was. A steamed vegetable? Maybe. After a few more vigorous sniffs (good thing I was alone), an image popped into my head. It’s seaweed. More specifically, the seaweed you spoon out of miso soup and happily slurp up. It has that cooked vegetal seaweed flavor, but also sweetness and a bit of something savory that brings miso soup to mind. I was instantly craving a sushi dinner. 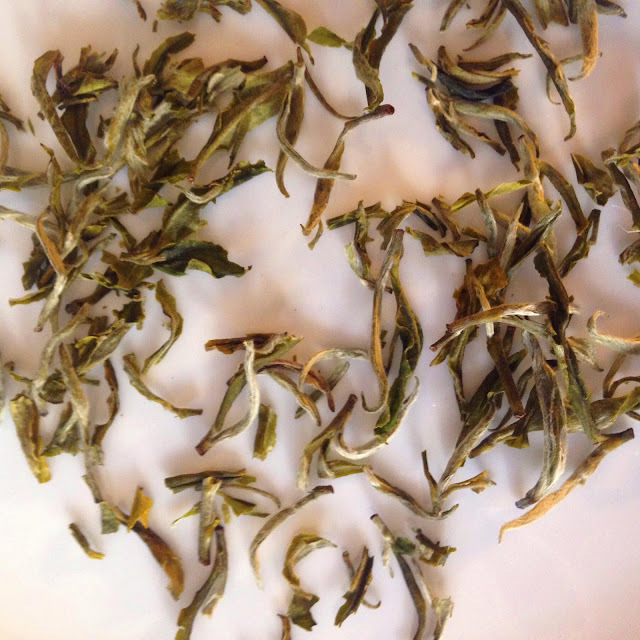 The tea steeped up to a different flavor profile- the aroma of the liquor is much sweeter, and an interesting floral note emerged. I closed my eyes and imagined fresh cut spring grass and steamed asparagus (those two things together create a strange image but hey, that's what I saw. Maybe it was a picnic of steamed asparagus under an old oak tree). The brew tastes sweet and slightly floral but I can’t put my finger on what type of flower it would be. It's a lush springtime flavor. I really enjoyed this tea. I could see drinking this tea all throughout the warmer months, and possibly in the darkness of winter to bring back images of vibrant green fields and blooming flowers. Thank you to Nepali Tea Traders for this sample!